How do you prove someone tested a nuclear weapon? Researchers Steven Czyz, Lily Ranjbar, and Salam Alhawsawi from the Radiation Detection Group at Oregon State are developing devices smaller than Pop-Tarts that use the metallic alloy CZT to detect radioactive isotopes of the noble gas xenon. This helps prove if someone tested a weapon, supporting the Comprehensive Nuclear-Test-Ban Treaty (CTBT) that's been signed by 183 nation states. JENS ODEGAARD: Hey there, we’re trying out a new format for Engineering Out Loud. Instead of pairing two related stories in a longer podcast we're going to create some shorter podcasts that feature just one story. 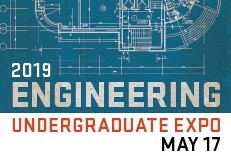 So let us know what you think by emailing us at engineeringoutloud@oregonstate.edu or by leaving a not on our Facebook page at Engineering out Loud. Now on to the show. MUSIC: Lonesome Desperate, by Lobo Loco, used with permission of a Creative Commons Attribution NonCommercial-ShareAlike license. as the crow flies, about 75 miles northeast of the town of Truth or Consequences, New Mexico. Today, researchers at the Oregon State College of Engineering are developing detection devices to help ensure that the truth about anyone conducting a nuclear weapons test is known and that they’ll face the consequences of an international community that’s banned testing of this kind. PRESIDENT BILL CLINTON: Today in New York, the United Nations General Assembly voted overwhelmingly to adopt the Comprehensive Nuclear-Test-Ban Treaty and open it for signature later this month. On behalf of the American people, I will have the honor to sign this historic treaty. Our signature, along with that of Russia, China, France, the United Kingdom and the vast majority of nations around the world will create an international barrier against nuclear testing as soon as we sign. With this treaty, we are on the verge of realizing a decades old dream: that no nuclear weapons will be detonated anywhere on the face of the earth. ODEGAARD: Clinton signed the treaty, known as the CTBT, on September 24, 1996. Today, 183 of the world’s 196 nation states have signed. Yet, the “old dream” isn’t a reality. Since 1996, nuclear tests have been conducted by India, Pakistan and the Democratic People’s Republic of Korea aka North Korea—which conducted a test as recently as September, 2016. A treaty is only as good as the countries who signed it, and obviously doesn’t cover countries who haven’t signed, so it’s necessary to have a system in place to monitor nuclear weapons test activities worldwide. This system is known as the International Monitoring System or IMS. The IMS is run by the CTBTO Preparatory Commission. Here's a brief overview of the system. AUDIO CLIP: The CTBTO global alarm system spans the entire globe. Its 337 monitoring facilities are located in 89 countries on all continents and cover all oceans. The system also features an international data center in Vienna and a global satellite communications network for data transmission. ODEGAARD: These facilities include seismic, hydroacoustic, infrasound and, most importantly for our story, 80 radionuclide monitoring stations. These stations detect radioactive particles and the noble gas xenon in the atmosphere. The detectors at these stations are developed by folks you might meet on a college campus. I did. LILY RANJBAR: My name is Lily Ranjbar. I'm originally from Iran. I came to OSU in 2012, and did my Ph.D. here. I got my Ph.D. last year, and right now I'm a teaching faculty here at OSU. And I did my Ph.D. on radioxenon detection for nuclear weapon test monitoring here at OSU under supervision of Dr. Abi Farsoni. STEVEN CZYZ: My name is Steven Czyz, I'm a Ph.D. student here. I've been here at Oregon State for three years; I'm initially from Michigan. ABDULSALAM ALHAWSAWI: My name is Abdulsalam Alhawsawi. I go by Salam. I'm from Saudi Arabia, and I'm supposed to be defending my Ph.D. soon. ODEGAARD NARRATION: Lily, Steven, and Salam all work on radioxenon detectors as part of Associate Professor Abi Farsoni’s Radiation Detection Group. In other words, they’re pretty much helping save the world from nuclear annihilation. But let’s back up just a hair and explain what radioxenon is. MUSIC: Pong Delight, by Podington Bear, used with permission of a Creative Commons Attribution NonCommercial license. First, xenon is one of the noble gases, along with helium, neon, argon, krypton, and radon, on the far right column of the Periodic Table. Like all chemical elements, xenon has a variety of isotopes. Think of these as different forms of the same chemical element. Some of these isotopes are unstable, meaning they don’t have the right ratio of protons to neutrons in their nuclei. We call unstable isotopes “radioactive isotopes” because as they try to stabilize, or find the right balance of protons and neutrons, they emit energy, like gamma and beta particles, in the form of radiation. This is called radioactive decay. Radioxenon, is the term used to describe these radioactive xenon isotopes, and it’s a product of nuclear fission, which is the splitting of a nucleus of a large atom like uranium or plutonium into smaller unstable nuclei. This can happen in a nuclear reactor, or in a nuclear weapons test. As these nuclei decay they transmute into different chemical elements, some of which are various isotopes of radioxenon. CZYZ: So, I feel like a lot of people, they have this impression that radiation is this black box--they have no idea what it is, it's just like radiation: scary, green goop, don't want it to touch you, et cetera. But, like radiation is an extremely natural process--it happens all over the place, it's just particles, like normal particles that are unstable on a nuclear level, and so they adjust, and when they adjust, they release energy. And that energy that comes off it is radiation. And so, when we're detecting radioxenon, we're looking for specific energies. Because radioxenons, every time they adjust to become stable, they're going to release energies in a very specific way. And, because of that, if we see a certain amount of energy, then we can say, that is radioxenon. ODEGAARD: And here’s Salam, helping break it down even further. ALHAWSAWI: So, think of radiation as, if you have a kid that is very excited, and they started playing in a room, the result--the mess they make--is that radiation. That's the signature of that kid. And once they're done - they go to sleep - this is when they're stable. This is exactly what's happening with nuclides. If they're excited, if they're in an energy-excited state, they wanna get to a stable state. They do that by releasing radiation. And any nuclide that we have, any radionuclide, is trying to go to a stable condition instead of an excited state. ODEGAARD: OK, so I have two kids. I have a daughter who's 7, and a son who's 2, and I can tell distinctly which one made the mess. ODEGAARD: Some of these radioxenon isotopes are the direct result of nuclear weapons testing and they have very distinct signatures. RANJBAR: We are specifically interested in four radioxenons, which are Xenon-131m, Xenon-133m, Xenon-133, and Xenon-135, because there are a lot of radioxenons that are released, but most of them have a very short half-life and decay very fast, after a few seconds, to other stable elements, but this radioxenon, you know, stay awake and we can detect them. ODEGAARD: The half-lives or rates of radioactive decay to a stable state for these radioxenon isotopes range from 9 hours in the case of Xenon-135 to almost 12 days in the case of Xenon-131m. In other words, they stay in an energy-excited state long enough to distribute into the atmosphere and get detected. MUSIC: Free Radicals, by Podington Bear, used with permission of a Creative Commons Attribution NonCommercial license. CZYZ: So, like, bad guys, if they want to go and test nuclear weapons, they're not going to test them above ground, because we have satellites everywhere. It's kind of hard to miss a big explosion. So, they would test it underground--we have seismic detectors and stuff all around the world, in the International Monitoring System, or IMS. We have a bunch of different types of detectors--seismic detectors, hydroacoustic detectors, infrasound detectors, and radiation detectors--so, if there's an explosion underground, these seismic detectors go off, and they're like "oh, there's an explosion over here," or "there was a disruption over here." Well, was it some guy blowing up a large pack of dynamite in his basement, or was it an earthquake type situation. What was that? And, in order to differentiate from these other shaking phenomena, you can use these xenons, these radioxenons, that escape and you can detect them and you can trace them back to this explosion. Like you can correlate it with wind patterns and stuff. So, let's say you've got a detection system 100 miles away--you can see from the air patterns and the amount of time the xenon would have taken to drift over there, they're like "Oh, we're detecting this radioxenon in these quantities, it's correlated to this disruption, that was a nuclear test." ODEGAARD: These radioxenons are detected through a process called beta-gamma coincidence, which is the detection of both beta energies and gamma energies at virtually the same time. Steven explains. CZYZ: Basically what happens is you've got this unstable nucleus, one of the four radioxenons we've talked about, and when they chill out, they release a photon, or a gamma, or an X-ray, but basically a wave, a light wave, is one kind of radiation. And they also release an electron, and so when we say we're detecting gamma energies, it's the energy of the X-rays or gamma rays that are released, and then when we say we're detecting beta energies, we're detecting the energy of that electron that comes off it. So, again, what makes radioxenon special is that those two types of radiation are released at the virtually the exact same time. So that’s how we do it, and our detectors actually utilize electronics that actively discriminate these things. So, like it's not going to go off if it just detects one of those two; it has to detect both within a certain, very small window of time in order to say that is a radioxenon decay. ODEGAARD: It’s this beta-gamma coincidence that makes Steven, Lily, and Salam’s detectors work. What makes their detectors unique, is that they’re made of materials, and combinations of materials, that have never been used in radioxenon detectors. RANJBAR: My baby, or my detector, I call it TECZT, which stands for Two Element CZT Detector, or Two Element CZT Radioxenon Detection System for nuclear weapon test monitoring. And, it utilizes two CZT detectors. CZT stands for cadmium zinc telluride, which is kind of semiconductor detector, and they are very good materials for most of radiation detection purposes. We used them for the first time here at OSU to detect radioxenon. Which was very exciting, you know, first time to do this kind of stuff with CZT. CZYZ: So, I'm working on what I call the CASP system--CZT array of SiPMs, and a plastic scintillator. ALHAWSAWI: So, what I'm doing is I'm using two CZT crystals, one by one, the same that Lily used, but I'm coupling them to this new detection system called PIPS box. MUSIC: A1 Rogue, by Podington Bear, used with permission of a Creative Commons Attribution NonCommercial license. ODEGAARD: Don’t worry, well get more detail, and a definition of those acronyms later on, but let’s start with a few basics. All three detectors utilize CZT as part of the design. CZT is an alloy of cadmium telluride and zinc telluride, and can be formed into CZT crystals, or cubes. CZT is very sensitive to x-rays and gamma-rays, making it a good choice for radioxenon detection. Lily’s design, which utilizes two one-cubic centimeter CZT crystals facing each other, was the first of its kind. RANJBAR: I was so excited and also had a lot of problems because it was the first time I wanted to use it, and it also it was the first time that our group wanted to use this type of materials, so basically we didn't have any type of experience with these crystals and nobody knows how to use the systems, so we did a lot of research. It was very challenging, but finally we made it. ODEGAARD: How does the crystal work, to detect this? RANJBAR: Basically, the process that's CZT work is that when radiation hits this type of material to produce charge carriers, we call them charge carriers- electrons and holes. And then if we could collect those electrons and turn them into a signal, we can get the signature of radioxenons. So, imagine that if we have a radioxenon interact with one of our CZT, so it produced electrons, then we just get those electrons and turn them to a signal, and process that signal, and finally we can detect radioxenon. ODEGAARD: What kind of signal does it produce? RANJBAR: You know, when we get the charge, when we collect charge, we turn it into an electric voltage, and then we measure that. ODEGAARD: Steven and Salam are building off Lily’s work to improve detection capabilities. Steven’s detector which he calls the CASP system or CZT Array of SiPMs, and a Plastic Scintillator utilizes a CZT crystal like Lily’s original design but adds an array of silicon photomultipliers (or SiPMs) and a plastic scintillator to address some of the problems they discovered with Lily’s original design. these electrons are really tiny and these CZT are ginormous, so they would go in and they would deposit some of their energy, and then they would bounce back out. What that results in is an incomplete energy deposition. So it's like, well, how do we rectify this problem? ODEGAARD: Steven rectified the problem by combining a cylindrical plastic scintillator gas cell with a CZT crystal like Lily’s. This plastic scintillator gas cell captures the electrons, or beta energy, which is bad at penetrating things. This prevents that energy from ping-ponging around the detector and creating inaccurate read-outs. The gamma energy on the other hand, passes right through the plastic and is then captured by the CZT crystal. CZYZ:We coupled this to silicon photomultipliers, which is a light read-out technology and that reads out the light that is generated in these scintillators when the electrons deposit their energy in there. What happens is the particle will go in and it will disrupt a bunch of molecules and these molecules will release light, like visible light, so you can use some sort of device to read out this visible light. So, that's how the SiPMs work, is they read out this visible light. And that's how we do coincidence detection with the CASP system. ODEGAARD: In Steven’s detector, one issue that arose is that even once the radioxenon gas is removed from the detector, some of the radioxenon atoms remain trapped inside the plastic walls of the cylindrical cell. These radioxenon atoms trapped inside the walls continue to release radiation, which can lead to difficulties in getting an accurate measurement. Learning from this, Salam is developing a detector that swaps out the plastic scintillator for silicon detectors, which won’t trap the radioxenon atoms like the plastic does. ALHAWSAWI: So, what I'm doing is I'm using two CZT crystals, one by one, the same that Lily used, but I'm coupling them to this new detection system called PIPS box. So, it's a gas cell made of two silicon detectors. You inject the gas between those two silicon detectors, so the silicons are going to detect the electrons, or betas, and then the CZTs are going to detect the gammas, or X-rays. ODEGAARD: Because no radioxenon atoms are trapped in the silicon, Salam’s detector will allow the air to be sampled more often than with Steven’s detector. This is important, because the goal is to have the international monitoring stations sample the air three times per day. ALHAWSAWI: Right now, the frequency of air sampling is 24 hours. They're trying to go down to 12 hours, trying to go down to 10, and eventually the goal is 8, because simulations show that if you sample the air every 8 hours, you get a better and a higher efficiency of detecting changes in radioxenon activities in the atmosphere. ODEGAARD: In addition to this advantage, the detectors being developed here at Oregon State have a couple other advantages over current radioxenon detectors. Many of the detectors utilized in the International Monitoring System, use germanium as the detector material, but CZT is cheaper, and, more importantly, allows operation at room temperature. This is big, because these detection systems require constant cooling and have large power demands for operation. RANJBAR: So they need a lot of maintenance and money to run them. So CZT crystals, they don't need any kind of cooling systems, so they are very attractive for radioxenon purposes, and for remote monitoring stations. CZYZ: It's worth noting that these systems that require cooling, it's not like "put 'em in the fridge," it's like you need liquid nitrogen, because they need to be cooled to like negative-a-lot of Fahrenheit, like -300 Fahrenheit or something. ODEGAARD: In other words, CZT as the detector material, could allow the IMS to eliminate the need for cooling systems at their stations, reducing power consumption and overall simplifying station design. 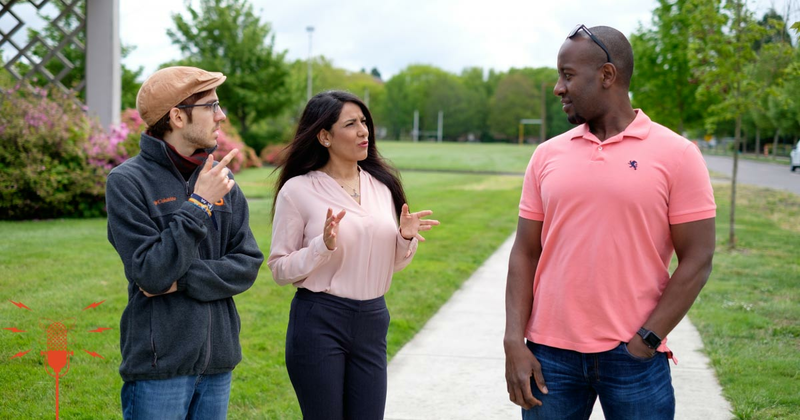 Though still in the developmental stages, Lily, Steven and Salam’s research into CZT detectors here at Oregon State, has the potential to help keep the world a safer place by keeping tabs on clandestine nuclear testing around the globe and helping enforce the Comprehensive Test Ban Treaty. ALHAWSAWI: So you want to make sure that the countries that have nuclear weapons are not improving their weapons, and the countries that don't have nuclear weapons are not going to make new ones, and this is one of the techniques used to make sure that people are complying with this non-test treaty. ODEGAARD: Though he appreciates the policy implications, Steven is motivated to do this work from a scientific perspective. CZYZ: It's very stimulating on an academic, a scientific, a mental level, just to see how nature works on the most fundamental level. So, that's what's exciting to me, with the development of new detectors and so on, is you're really getting into the nitty-gritty fundamental physics, and taking advantage of it. It's very, very exciting to me to do stuff like that. ODEGAARD: Roughly translated, Jornada del Muerto means “journey of death.” Though we’re all on this journey at one pace or another, the Trinity test in 1945 unlocked the door to nuclear weapons and the possibility of more of us than ever before facing the blinding flash of light. Speaking in a TV documentary about the Trinity test, Dr. J. Robert Oppenheimer, one of the lead physicists on the project, said this. J. ROBERT OPPENHEIMER: We knew the world would not be the same. A few people laughed. A few people cried. Most people were silent. I remembered the line from the Hindu scripture, the Bhagavad Gita. Vishnu is trying to persuade the prince that he should do his duty, and to impress him, takes on his multi-armed form and says: “Now I am become death, destroyer of worlds.” I suppose we all thought that one way or another. ODEGAARD: Lily grew up witnessing death and destruction. Though it wasn’t nuclear weapons related, the horror of warfare, propelled her to use her scientific skills for peaceful purposes in preventing the use of this “destroyer of worlds.” We’ll let her have the last word. RANJBAR: I grew up in Iran, and when I was a child, I saw war in my country. I spent most of my childhood during war, and I still remember those days clearly, how tough was those days. I don't want any other children around the world to see those kind of things that I saw, those kinds of things that I felt. That's why I came to this field, and I want to really help all children around the world, and all people, too, to have a better life, to feel safer and promote peace all around the globe. It doesn't matter if that kid is from the US or that kid is from Middle East or that kid is from even North Korea. I want all children around the world, and all people, feel safer. ODEGAARD: This episode was produced by myself, Jens Odegaard, along with Rachel Robertson and Miriah Reddington. 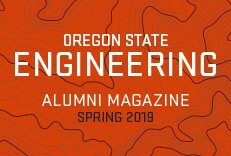 Don’t forget to visit our website, engineeringoutloud.oregonstate.edu, for bonus content and full show notes. Our intro music is The Ether Bunny by Eyes Closed Audio on Soundcloud. Other music includes Lonesome Desperate­ by Lobo Loco, as well as A1 Rogue, Free Radicals, and Pong Delight all by Podington Bear. All songs and other sound effects are used with permission of Creative Commons licenses. Links to the songs, sound effects and their licenses can be found on our website. 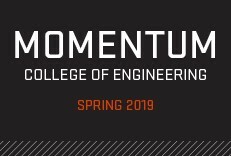 For more episodes, and to subscribe, please visit engineeringoutloud.oregonstate.edu, or search “Engineering Out Loud” on iTunes or your favorite podcast app. See ya on the flip side.